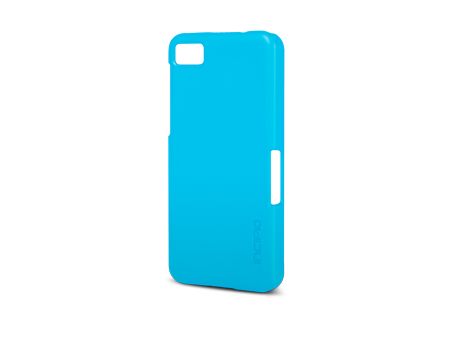 The feather case is a slim, hard shell case that provides lightweight protection. The BlackBerry Z10 feather® case is crafted with a sleek, Plextionum™ frame for a slim, durable case selection. The feather® case is designed to precisely fit the BlackBerry Z10 in order to show off more of its classic silhouette. Users can easily utilize all media functions while protecting their BlackBerry in the feather® case.